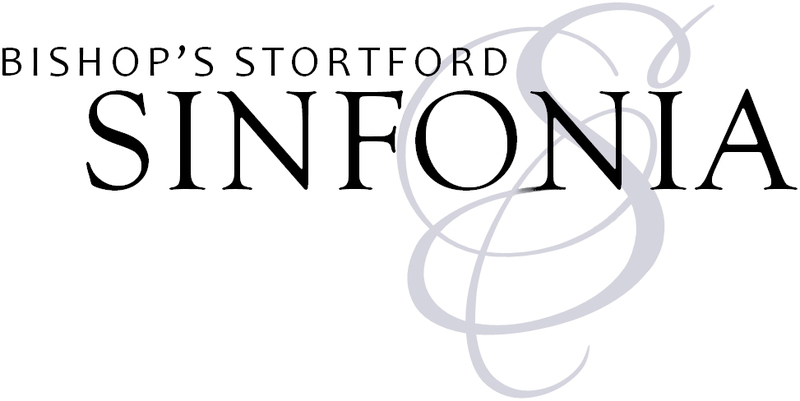 Simon Gilliver founded Bishop’s Stortford Sinfonia in 2015. He grew up in Bishop’s Stortford, and is still very active musically locally, teaching flute and piano, working as piano accompanist for local competitions and events, and has given a number of recitals in the area in recent years. A graduate of both the University of Birmingham and the Guildhall School of Music and Drama, Simon now teaches improvisation at Guildhall, and is also busy as a freelance flute player with various orchestras. As Artistic Director, Simon takes overall responsibility for all aspects of running the orchestra. This is quite a list: Booking concert venues, players, working closely with Rebecca Miller, soloists and guest conductors to work out repertoire and programming, coordinating publicity, arranging teams of helpers for concert days, arranging hire of staging, instruments and equipment, fundraising, and generally trying to keep everyone happy! It is often an all-consuming job; concerts can often throw up sudden unexpected logistical problems, and sometimes a frantic eleventh hour search to fill a vital spot in the orchestra. However, when you pull off a great concert seemingly against all odds, and you feel a buzz among the players and an enthusiastic reception from a packed audience, that really is a feeling you cannot match! A founding member of Bishop’s Stortford Sinfonia, Holly grew up and went to school locally in Sawbridgeworth before going on to read music at the University of Manchester. Initially trained as a violinist, she taught violin, viola, double bass and piano in Hertfordshire for over ten years, and after several years working with various orchestras as a freelance violinist and violist she is now an active freelance double bassist performing in concert halls and theatres around Herts, London and Suffolk. She is currently living and teaching in Suffolk and also giving lessons online via Skype and FaceTime. As managing assistant of the orchestra Holly is involved in much of the decision-making, and is also responsible for the orchestra’s website and Facebook page. Holly came to the bass late, at age 24, after her joint hypermobility syndrome started causing too many problems with her violin playing. With the help of bassist and teacher Louis Garson she transferred her string-playing skills onto the bass, taking her grade 8 a year after her first lesson. When Holly isn’t playing she enjoys drawing, painting, and making quilts. She also loves Japanese video games, and watching anime and Studio Ghibli films (“Howl’s Moving Castle” is her favourite) with her cat, Schmokey. Born in Texas, but raised in England, Tanya Barringer has performed extensively here in the UK and the USA. She studied at the JRAM under Howard Davies, before continuing her A level studies at Chethams School of Music under When Zhou Li. After Chethams, Tanya returned to Texas where she completed her Bachelors Degree with highest honors in Violin Performance at the University of Houston, Moores School of Music. She then moved to New York City to complete a Masters Degree in film studies at NYU and stayed in NYC where she worked in film production for over ten years. Tanya returned to England in the late autumn of 2014 and quickly landed into the music scene in London and keeps busy playing with a wide variety of groups covering chamber music through to performances of Wagner’s Ring Cycle. Through happenstance she has now left the film industry and instead is writing Brexit related policy for the Food and Drink Manufacturing Industry and is happy to chat about it if you’re interested! Philippa Hanson is a busy freelance player in the local area. She has been the leader of Maltings Sinfonia for approximately twenty eight years. She also plays with Saffron Symphony Orchestra and enjoys chamber music and recital playing. She began teaching at the age of nineteen. Philippa lives with at least six cats, and has a recurrent dream that her violin has been replaced with a terrible instrument and when playing in a concert her bow is less than the size of an Ikea pencil. The first time her parents noticed her interest in music she was aged two standing spellbound at the sound of an organ being played in church. She started piano lessons aged five, and violin at eight. Philippa has always sung in a church choir and it is her ambition to learn the organ. Penny Smith began her oboe studies aged 14 whilst at school in Mid Wales. She then received tuition at the Birmingham Conservative Junior department. In 2005 Penny was awarded a full scholarship to Trinity College of Music, where she studied under Jo Lively and Chris O’Neal. She graduated with a BMus(Hons) in 2009 and went on to study for a masters degree in orchestral performance at the Royal College of Music under the tutelage of David Theodore, Christopher Cowie, and Cor Anglais with Christine Pendrill. Whilst there she was the recipient of the Evelyn Rothwell Oboe Prize. Since graduating, Penny has been working as a freelance orchestral player and peripatetic teacher. She started playing the piano aged 7 and violin aged 9 but one day found an oboe in a music shop and was allowed to try it. She managed to get a D Major scale out of it immediately so her mother agreed to let her have lessons! Her father would often play the soundtrack to The Mission during car journeys so maybe hearing Gabriel’s Oboe subconsciously influenced her choice! Aside from playing the oboe, Penny enjoys discovering new cuisines. She would also love to be able to play Albeniz’s ‘Asturias’ on guitar, and Arvo Part’s ‘Fratres’ on violin. After a degree in History & English from Oxford University, and an MA in Music Performance from Birmingham Conservatoire, Julia White gained her Postgraduate Advanced Diploma with distinction from Trinity College of Music, and was subsequently a Junior Fellow at the college. After her studies, Julia first played with Santiago Philharmonic Orchestra, Chile, later returning to pursue a career in the UK. She now combines teaching with a busy freelance playing career, including orchestral and session work, and chamber music. Julia started oboe at the age of 11. She chose the oboe or viola: her parents sent a note to the head of music at her school saying she’d like to learn one or the other, and he chose! Her favourite composer is Benjamin Britten. She enjoys the positivity and sense of engagement with the music of all the BSS players, the high quality music-making and the choices of repertoire. When she’s not being an oboist, Julia enjoys playing piano, and folk music on Irish whistles, and also learning BSL (British Sign Language). Rosemary Richardson grew up on the coast in North Wales, playing the recorder and the violin before taking up the bassoon aged 16. She spent her teenage years involved in the Welsh Youth Music system, finally becoming principal bassoon of the National Youth Orchestra of Wales. Rose graduated from the University of Nottingham with a degree in French in 1994. In September of the same year, she began her post-graduate studies at the Royal College of Music with Martin Gatt. During her studies she was awarded a Senior Exhibition and the Harry Evans prize for outstanding Welsh Student. Following a temporary diversion into the IT industry, Rose now teaches bassoon and recorder for Hertfordshire Music Service and runs Bishop’s Stortford Music Centre, which has around 300 pupils. She also continues to perform regularly on both instruments. Aside from classical music, Rose likes quite heavy rock music (Linkin Park) and thinks it would be really cool to play the bass guitar! Her husband claims that if Rosemary were an animal she would either be a swan or a sloth. A swan because she’s outwardly calm, and a sloth because she’s rather slow and cautious with everything that she does! Emily Gorlin is originally from New Jersey, USA. Before moving to London, she had a very active professional career in America which included positions in the Spokane Symphony, Baltimore Symphony and Utah Symphony. She also served as an extra and substitute player with the New York Philharmonic and the National Symphony, as well as freelancing extensively. A passionate advocate and performer of chamber music, she was a founding member of the Stellium Chamber Ensemble, whose inaugural recital at the National Building Museum inspired The Washington Post to note her “satiny legato and elegant articulations.” Emily is a graduate of The Juilliard School, where she studied with James Chambers, and the University of Cincinnati College-Conservatory of Music, where she studied with Michael Hatfield and Lowell Greer. Emily lives with a giant Australian tabby cat which whom she would swtich places in a minute. She got all the way to the British Championships one year in powerlifting. She’s also a very keen cook. Emily believes that there are two kinds of first horn players…secret opera singers, and secret rock’n’roll lead guitarists. She belongs to the latter group! Sophie Prett has been playing the french horn for over 30 years and is an experienced player of most kinds of music – orchestral, chamber, opera and musical theatre. She also helps fix musicians for orchestras. Having studied undergraduate music and postgraduate arts administration many moons ago, she has also worked in concert, festival and competition management, fundraising, publishing, schools music administration and teaching. Sophie played the flute in a junior orchestra but had her heart set on the horn after watching her friend play it, so at the age of 13, when her teeth were fully-grown, her parents bought her one! Her favourite things about playing with BSS are the fantastic playing and conducting standard, the great repertoire, the friendliness of the orchestral members, supporting a new venture, and Simon being a really enthusiastic and brilliant artistic director! Aside from playing the horn, Sophie enjoys travelling the world with her husband, as their son has now left school! Travelling in between concerts of course!